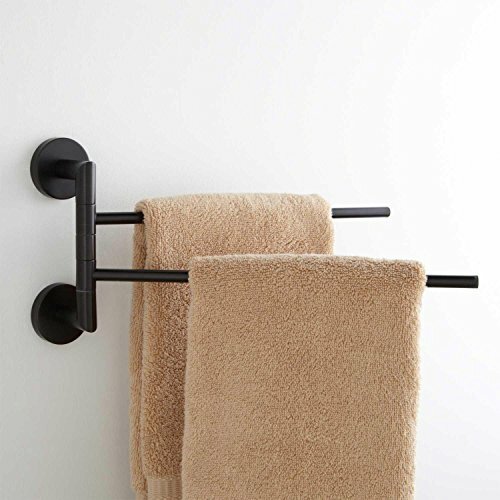 Installation Type: Wall Mount Design: Modern Material: Brass Length: 12-1/8" Height: 6-1/2" Depth: 2-1/4" Assembly Required: No Rods measure 3/8" diameter. Mounts with two circular base plates. Each base plate measures 2" diameter. 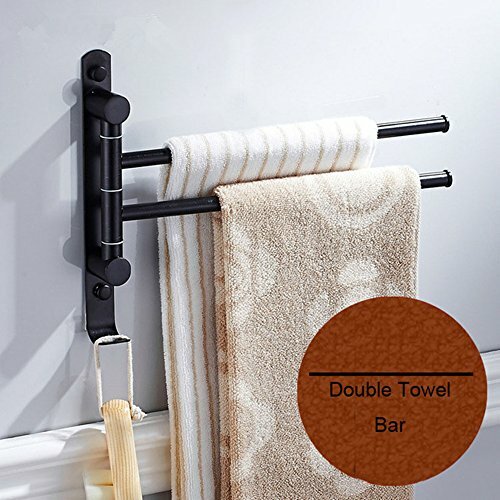 Concealed mounting hardware included. 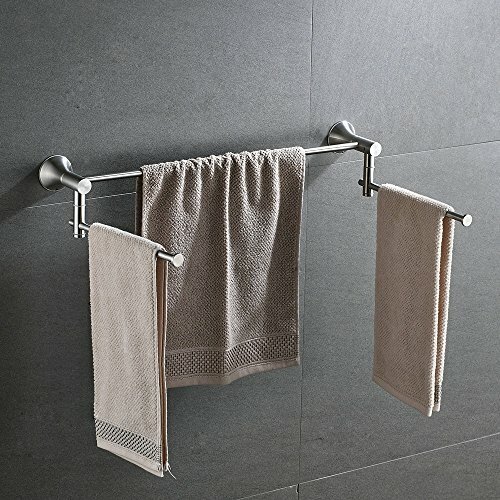 DWBA Bath Collection Brass Extendable Towel Bar/Rail Holder. 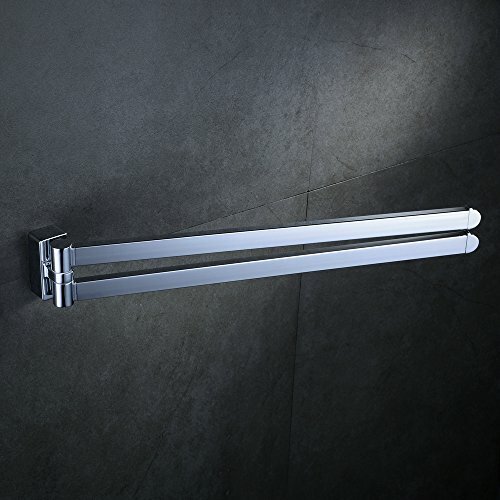 Extends from 13 to 21-inches. Made of brass polished Chrome. 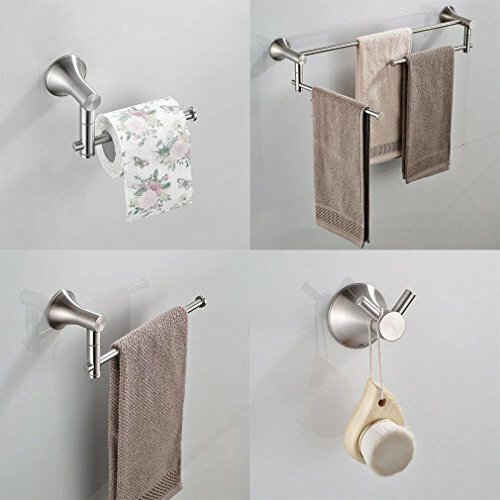 Available with 1 and 2 arms for your bathroom convenience. 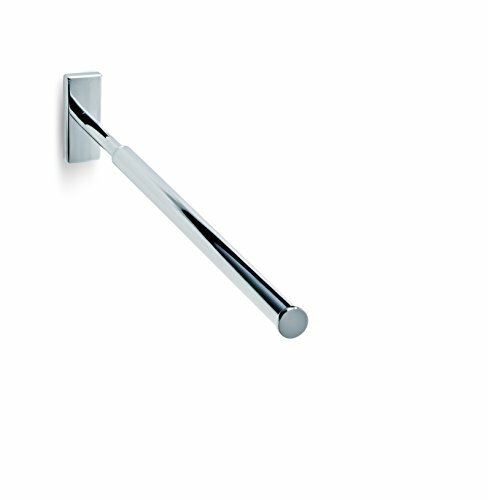 Very elegant wall mounted towel bar designed to increase the level of elegance in your bathroom. Created to last a lifetime of lasting beauty. Designed in Germany. 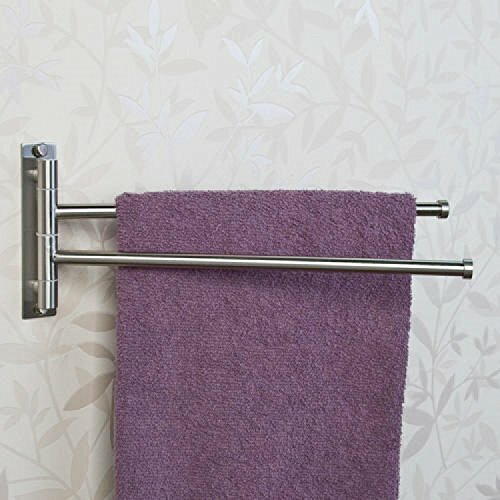 1 arm Size: 1.2 W x 13 D x 2.8 H in. 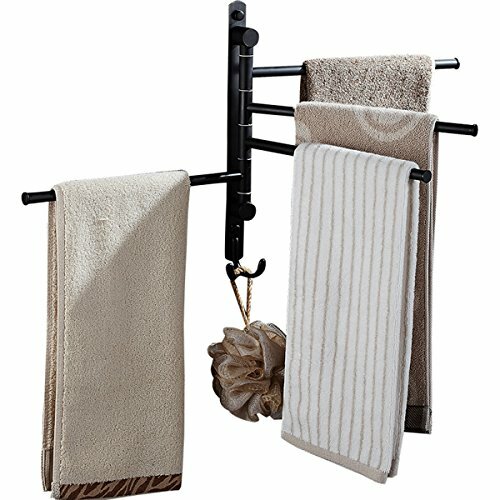 2 arms Size: 2.8 W x 13 D x 1.2 H in. 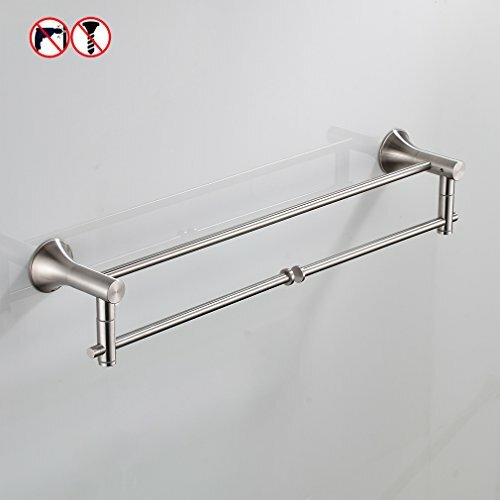 Installation Type: Wall Mount Design: Modern Material: Brass Depth: 13-3/4" Base Plate Length: 1" Base Plate Height: 5-1/2" Mounting Hardware Included: Yes Assembly Required: Yes Number of Rails: 2 Rod measures 5/8" diameter. Arm is 12-3/4" L. Projection from the wall when installed: 13-3/4". Rectangular baseplate measures 1" W x 5-1/2" H. Includes button covers to conceal mounting screws. Mounting hardware included.